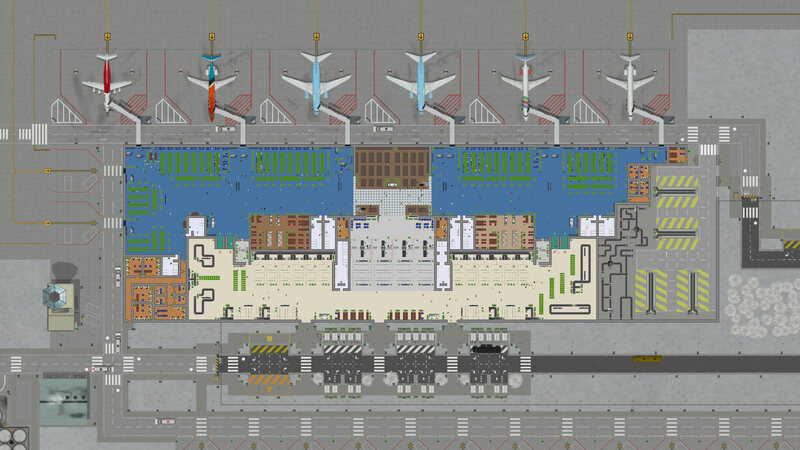 Airport CEO is an airport simulator where you will play the role of CEO. Build your airport, starting from the runways, ending with small shops. Your task is to create and manage a profitable business. With the money earned, you can improve your airport and thereby increase the flow of passengers. The more passengers — the more you can earn. Your objective is to build and manage your airport to perfection by making strategic decisions, building an optimized airport and ultimately making sure that your passengers and airlines are satisfied. 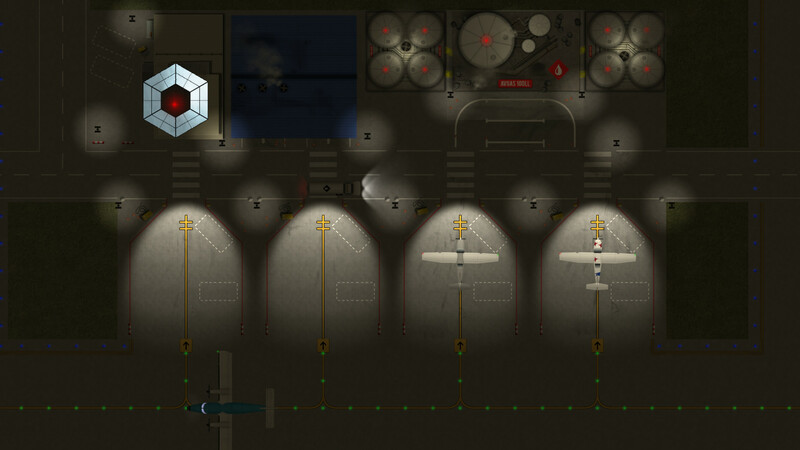 You will need to build the entire airport from scratch including terminal foundations with floors, walls, doors and items as well as the airport infrastructure including runways, taxiways, aprons and other necessary structures. Everything in Airport CEO is deeply simulated and so you need to manage its operations by making strategic decisions such as hiring the right staff, controlling expenditures and optimizing processes. Airlines and their travelers are an essential element of Airport CEO as they consist of the main source of your airport’s income, signing contracts with airlines bring cashflow and passengers to your airport which means opportunities for claiming an armada of different service fees as well as passenger consumption. Airlines come in different sizes and have different requirements on your airport and the services you offer, you are responsible for not only planning the flight schedule but also for meeting and maintaining the needs. For example, flights during rush hour could generate more income as airlines are prepared to pay more in fees but on the other hand late evening flights are normally less desirable and you might be forced to reduce the fees for flights operating at this hour. Occasionally you will need to handle emergencies and delays due to bad weather or accidents in the area, all which will put your management skills to the test. You need to update the game yourself. This game has been updated 14-01-2019, 04:48 to the latest version v29.5.0. Leifz0er, the game was updated to the current version. The game will be updated soon. The game was updated to the current 0.21.12 version. The game was updated to the current 0.22.0 version. 0.22.2 has now been released with a new round of important bug fixes and improvements. 0.22.2 has been tested for a few days on the Experimental Branch, which we set live over the weekend. It has therefore received a lot more testing than the previous patches which should mitigate the most serious stability concerns for new deployments which we've experienced in the past. The experimental branch will for now and over the coming week mainly feature bug fixes and some slight new content. Several of you have requested minor patch notes for each minor update we do to the experimental branch and we're working on a solution to do this in a way that doesn't spam you (any tips or ideas are welcome!). To get more information on how the experimental branch works and when we do updates, check out this forum thread. There will be no development blog this Monday, instead we have focused on development and will write a better one for next Monday which will focus on the road ahead and the future of ACEO as we move away from the most critical state of bug fixing. In short, this week we will continue to monitor the bug reports and implement fixes, do some important work on a number of UI panels that currently lack information or that is displayed in a bad way and look into the last steps of making the Jira public. Thank you for the excellent job.Keep going. please re update again. there's a new version release just now. more than 11 hours ago. Please update to version 25.5 or 25.5.1 or 25.5.2. [ACEO-3204] - Staff security jobs statistics is showing up under vehicle job task panel. v 28.4.1 stuck in loading ?? Im having a problem with 28.4. It gets stuck on loading. Please fix this and update the game to 28.6.